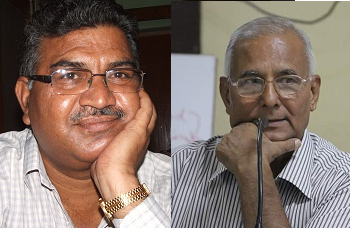 The Uttar Pradesh government has barred well-known Dalit rights activists Ram Kumar and SR Darapuri to hold a press meet at the UP Press Club in Lucknow. They had planned the press meet to highlight the detention of 45 Gujarat Dalits, travelling with in Sabarmati Express with 125 kg soap, at Jhansi railway station on Sunday. While Kumar heads Dynamic Action Group, a well-known Dalit rights group in UP, Darapuri is a former IPS officer associated with the Budelkhand Dalit Sena. The permission for holding press meet is learnt to have been taken by Darapuri. Both Kumar and Darapuri had been opponents of earlier governments, including that of Mayawati. The Gujarat Dalits, who wanted to present the soap with a Gautam Buddha image to UP chief minister Yogi Atidyanath to clean-up “anti-Dalit” mindset, were forcibly sent back from Jhansi to Ahmedabad. The unprecedented action was carried out jointly by a UP police contingent and the Railway Police, Jhansi. The soap was planned to be delivered in protest against Yogi’s officials giving soaps, shampoos and other toiletries to Dalits in Kushinagar May this year, asking them to “come clean” before meeting the chief minister, who was visiting the town. Ahead of the press meet, 30-odd Dalit rights activists were picked up from different spots in Lucknow, including eight at the UP Press Club. The UP Police claimed, they were detained for planning a protest rally against Adityanath without permission. “I am sure, I would have been sent back from the Lucknow airport if I had landed there on time”, he added. A media report said, the police had planned in well in advance to not allow Dalit activists to hold their press conference” highlighting the Dalits’ soap offer to Adityanath. A large posse of policemen was seen waiting at the UP Press Club since morning. Arrested at 1:30, they were set free at 5:30 after they obtained bail, Dalit activists were charged with Section 151 of the Criminal Procedure Code, which gives police the power to arrest anyone to prevent a cognisable offence.